The volume of rich content created by modern organisations is increasing exponentially. Anyone that is part of a corporation, like me, live it every day. The result is a growing need for businesses to effectively manage this deluge of internal and external media, while minimising the associated overhead costs. In the ideal world, businesses would adopt an integrated approach to ensure critical content can be distributed efficiently among appropriate divisions while maintaining precise standards for integrity and uniformity. Giving employees the means to communicate efficiently and bringing every resource, idea and person into one collective space has become crucial for corporations, however has also become a challenge that many Australian businesses face. Here’s a small list, based on my recommendations and personal opinions, on how promoting a culture of knowledge and information sharing can help your business take the edge over your competitors. Document management tools help your business to organise, edit, store and archive its files, enabling more effective communication and boosting productivity. Applications like Microsoft SharePoint give every employee access to the information they need quickly and efficiently, shortening decision-making cycles and streamlining activities like document approval, problem tracking and reporting. Collaborative document management solutions minimise the time, money and bandwidth wasted on tasks like emailing and printing documents, which previously resulted in multiple duplicate copies, or obsolete printed and electronic versions of each file. At Bremmar, we use SharePoint as our document management solution and we highly recommend it. We combine it with Skype for Business and use features such as instant messages to help us speed up some processes, such as approving documents. 3- Find what you want, when you want it. 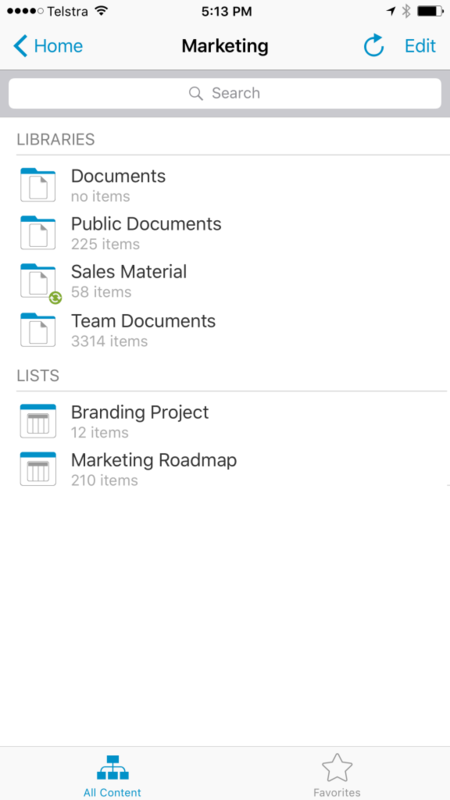 Communications that would otherwise have been lost in stacks of paper, buried in a chaotic inbox, or hidden in a complex filing and folder structure are now easy to find and retrieve when needed. At the same time, this information is also protected from unauthorised access, since files are encrypted and permissions restricted to specific individuals. Check here how SharePoint can help you supercharge your filing system. 4- Give employees a feeling of belonging. Give them a voice. Collaboration sparks innovation, unbound by the limitations of organisational hierarchy. Initiatives may now be proposed by any employee, and not just the senior executives. Proposals that may never have come to light are now free to circulate widely, growing and attracting interest based on their own merit. 5- Adopt real business mobility. Employee mobility is becoming increasingly important to modern organisations and collaboration tools are vital to ensure remote and mobile workers have real-time access to critical business applications. 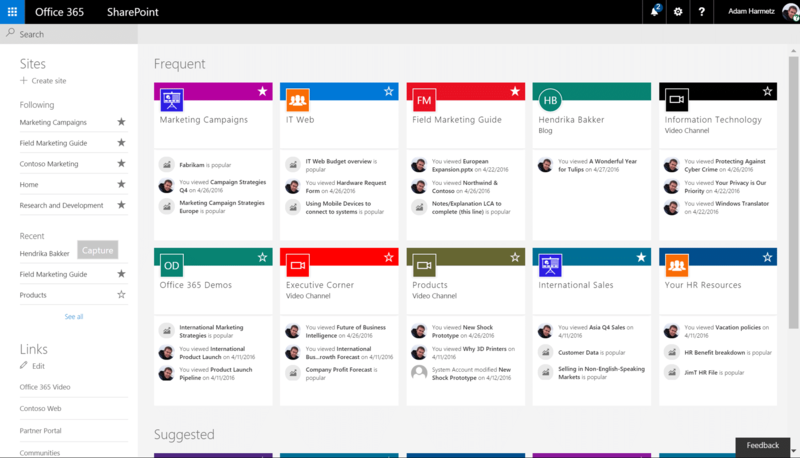 Following our previous example, SharePoint is a cloud based solution that enables colleagues to access company data, share knowledge and collaborate effectively while out of the office through a company portal, even when offline. 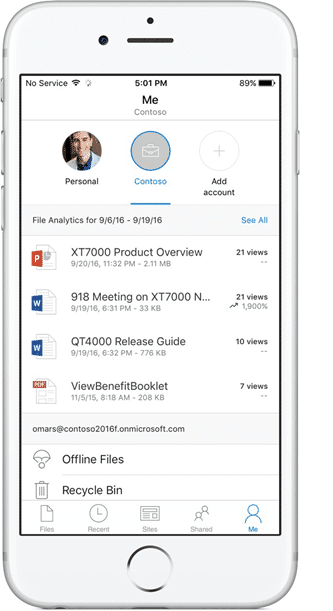 Skype for Business is another tool that can enable your business to be completely mobile. At Bremmar, we encourage video and conference calls when techs are working remotely as we see huge benefits from real-time interaction over a simple phone calls or emails. 6- Connect with your audiences. Create collaborative communities. Contemporary organisations have evolved to become distributed communities, interconnecting the business with partners and suppliers to deliver an integrated set of products and services to clients. A collaboration platform can facilitate the sharing of thoughts, reviews, and approvals among a private audience of partners, suppliers and workers when working on a project or campaign. This fosters a culture of creativity and continual improvement that gives these communities an edge over their competitors. 7- Easily bring someone on board and facilitate staff’s access to main docs. Effective collaboration tools streamline the on-boarding process, by making it easy for new employees to understand an organisation’s document filing system and locate the information they need to work effectively from day one. With an application like SharePoint, many other staff interactions such as travel requests, leave applications, expense submissions and incident reports can also be automated, replacing paper-based forms. 8- Foster a culture of transparency and continual improvement. Collaboration tools also improve accountability. Individuals are more likely to achieve their goals when their objectives are transparently documented, tracked and visible to others in the team. When each member knows the tasks for which they and their colleagues are accountable, this ensures that the correct person performs the work, and duplicated effort is eliminated. At Bremmar, we use SharePoint lists to follow objectives, track performance and review quarterly goals. Through lists and objectives, our staff have clear directions of where to go, know what’s expected of them and can easily identify where they need to improve, which has helped them immensely to achieve goals. 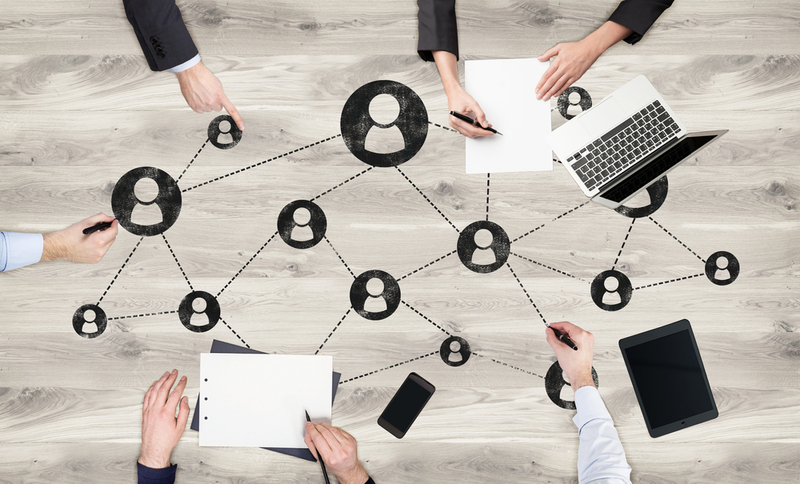 Collaboration tools include everything from data management, intranets, cloud storage solutions, unified communications, instant messaging and team sites. Real business collaboration cannot be achieved with only one product, but rather with a set of solutions that provide a homogeneous user-interface and experience over multiple device types. 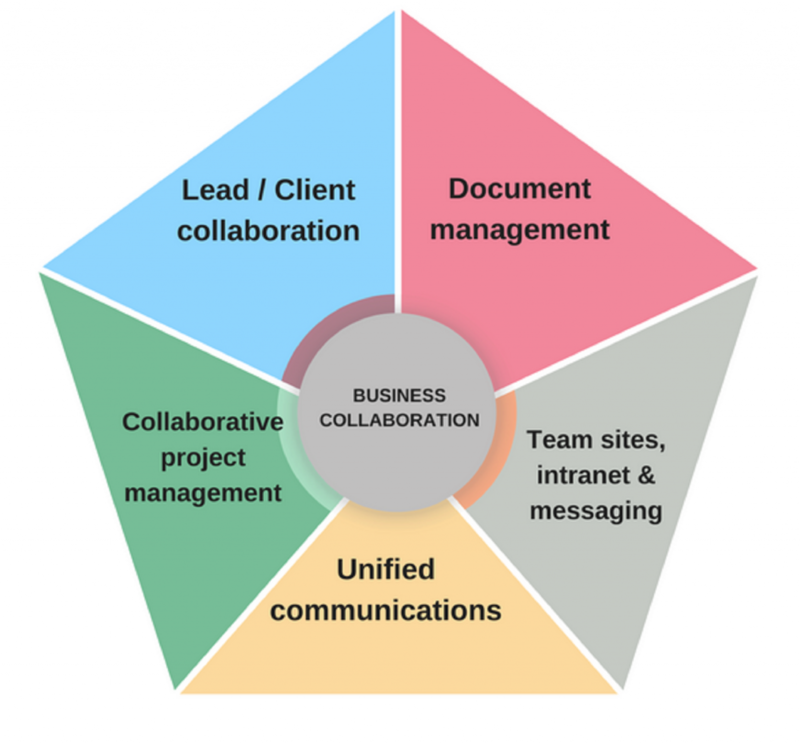 Below is an image of an “ideal” collaboration suite and the applications we recommend you to consider. It sounds complicated, but don’t worry, we’ve got your back – Read here how to create a collaboration suite for your business. Want it or not, collaboration is here and it’s here to stay. It’s up to you to be ahead of the game and enable improved communication between employees, departments, clients and suppliers. There are huge opportunities to increase productivity by simply encouraging knowledge contribution and distribution amongst your audiences as well as enabling improved business processes, mobility and powerful teamwork. To discover how your business can benefit from a wide range of productivity-enhancing collaboration and document management solutions, contact Bremmar today on 1300 991 351 or email help@bremmar.com.au. As the Technical Client Manager for Team 1, Darrin is the main point of contact for his clients & also the escalation point for the engineers on his team. Darrin has been working in MSPs for over 15 years and is highly experienced in various industries, such as Corporate/SME, Government, Retail & Medical. Through the years, he developed a passion for solving IT frustrations and implementing solutions to improve efficiency and business processes for clients.